So writes the Macro Investor in edited excerpts from his post* on Seeking Alpha entitled Gold Cannot Seem To Make A Move Even With Fiscal Cliff. [The chart below shows]…how the yellow metal and the miners have done in the past month. Both are down about 4%. In the meantime, the S&P is up about 1.4%. Gold prices in the capital fell by Rs 220 to Rs 31,000 per 10 grams on Wednesday, so there we have it. Gold per 10 grams to go up nominally by at most ~3%, from Rs 31,000 to Rs 32,000, with a good chance of falling by ~6% to Rs 29,000 as well. This, mind you, is a nominal price increase. Inflation in India runs at around 8% per year, so whichever way you cut it, investors in India are expecting a drop in the price of gold in real terms. India consumes about 25% of the world gold demand, and these days it is buying less and less of the yellow metal. India has historically been the country that drove world gold demand even when there was no rush to gold in the Western world. Indians have strong cultural and economic reasons to buy gold. The economic reason is straightforward. Inflation in India has been high for a long time, in the 5-8% range. Gold is therefore seen as a store of value. There are also strong cultural reasons, in that Indian brides are supposed to be gifted gold jewelery. Coupled with the fact that in rural India there are very few financial institutions (though that is changing) and hence fewer opportunities for alternative investments, gold has for a long time been the store of value for Indian families, especially from the rural regions – and India is still, by and large, a rural country. However, this level of gold consumption puts the Indian government in a sticky situation. India produces very little gold locally. It imports most of its gold and in the 2011/12 fiscal year…[that] amounted to $58B…[or] about 3% of the Indian GDP….To add to the problem, India has a persistent current account deficit…[at]around 4% of GDP per quarter, or about $17B. Naturally, the Indian government doesn’t like this, so it has taken some steps to stop the gold import. It raised import taxes to 10%, which means now a gold investor has to wait for more than a year at current inflation rates for the investment to make sense. More importantly, it banned banks from issuing loans for the purpose of buying gold. So, gold demand has promptly collapsed in India. In 2011, India imported about 1000 tonnes of gold. The 2012 numbers are looking like 800 tonne. and in 2013? Well, the projections are 550 tonnes, a whopping 45% decline from 2011 levels…. Jewelers are expecting higher sales during the Pongal festival but Reuters reports that retail demand remains weak….and the culprit, according to Wall Street Journal reports… is that investors eye stronger gains from equities. If equities return more than gold, Indians will buy less gold. That will push pressure on gold demand and hence price, and make equities look even better in comparison to gold. This cycle will feed on itself as gold keeps getting more and more out of favor. Historically, Indians didn’t have too many places to invest outside of gold but that is not true any more. With the economy forecast to do better in 2013, equities will likely boom, and smart Indian investors are making the bet. Given the above, I continue to urge caution to gold investors…. I believe both physical gold and gold mining stocks will continue to struggle in 2013 as Indians turn away from gold. 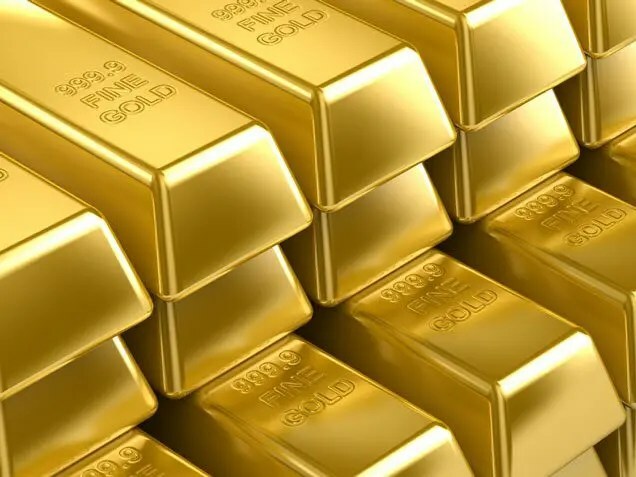 However, I also know how the gold market goes – it is not in any way based on fundamentals, it is all about sentiment – so I am not about to short gold, but I must say I am sorely tempted. That said, I believe gold investors can still make upwards of 50% this year. I explained that in my article Make a 153-174% Return – With 95% Confidence – IF Gold Goes Up Just 10% in 2013! Here’s How [and silver investors too – Read: If You Think Silver Is Going To Increase In 2013 Here’s How to Best Maximize Your Return]. 3. What’s Going On With Gold & Silver? 6. Is Gold’s 13 Year Run Almost Over?